Mark McGwire Admits He Used Steroids. Finally. Well DUH!!! That’s like admitting his hair is red. But I suppose we have to give Mark McGwire credit for at least finally coming clean about his steroid use (paging Barry Bonds!). 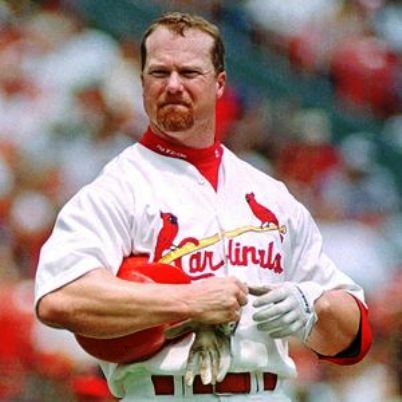 Think of all the controversy that could have been avoided if Mark McGwire admitted to his steroid use back in 2005 when called to testify in front of congress; at the time the slugger refused to answers any questions. I guess he’s changed his tune now. Of course, his new position as a hitting instructor for the St. Louis Cardinals may have something to do with the timing of his long overdue admission. Well I guess it’s never too late to right a wrong, but for crying out loud – it’s not like we didn’t know Mark McGwire was a roid-head. next post: Simon Cowell Is Leaving American Idol. For Reals This Time.